I’m not the type to enjoy the Super Bowl (give me the Puppy Bowl any day!) but I must I am intrigued by game day food. From what I can tell, game day food can be, but is not limited to: pizza, wings, dips, chips, nachos, sandwiches, and anything with cheese. I enjoy all of these foods immensely and therefore have concluded that I am a fan of the Super Bowl. I definitely understand the need to eat while watching TV or a movie. My wants in a snack: sweet, salty, spicy and crunchy. I loved this sriracha caramel corn, but Mike wasn’t so convinced. He thought it had a slightly burnt aftertaste, which was probably true (my caramel was a touch dark, I admit), but it didn’t bother me. 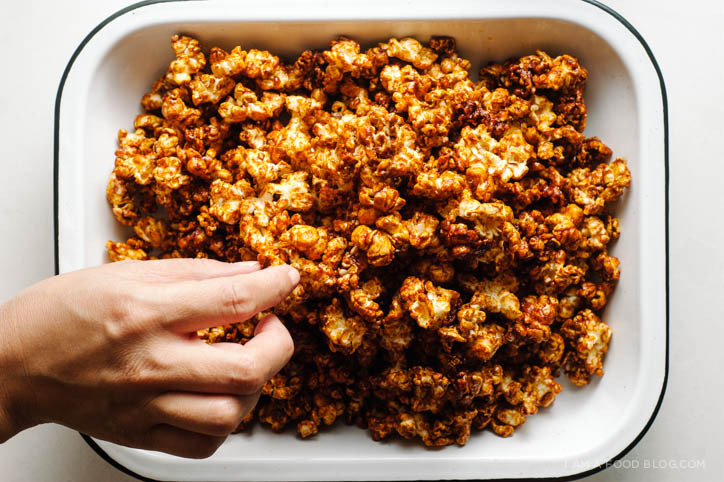 Spicy and sweet, this caramel corn is a winner. 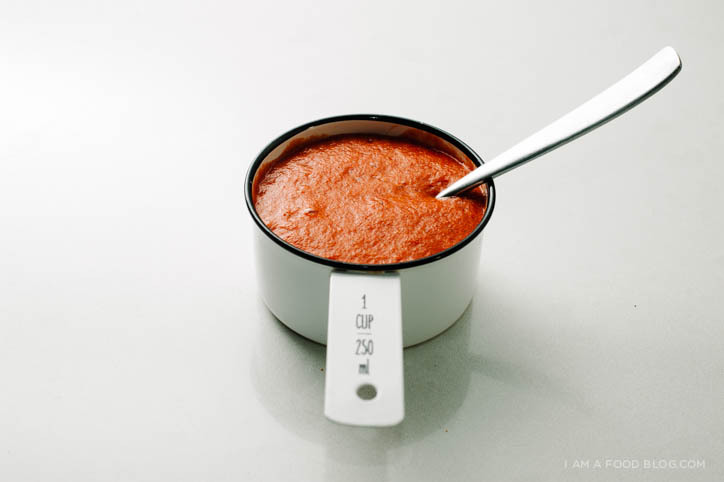 Just make sure you keep an eye on the caramel – it might be best to err on the side of undercooked. Preheat the oven to 250°F. Line a baking sheet with parchment paper and set aside. Place your popped corn in a large heatproof bowl. Aww man, so many fun flavours! Yeah, the super bowl is nonexistent at our house–I would never know it were happening if not for all the foodblogs posting party snacks. However! Popcorn is definitely and always happening. Sriracha sounds like an amazing addition! Shared this with all my Sriracha foodie lovers!!! This looks amazing! 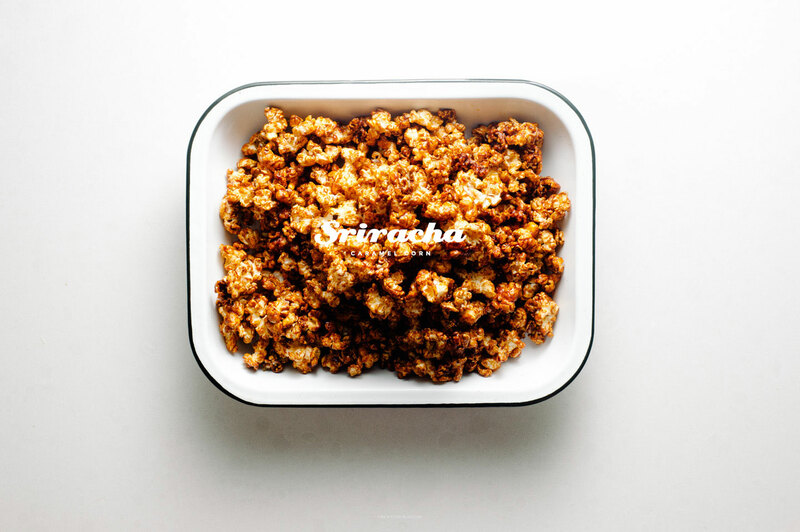 I’m addicted to caramel corn right now and adding sriracha is genius! Have this in the oven right now…can’t wait to try it! My hubby is particularly intrigued…he loves sriracha! The corn finished several hours ago, and the hubby loves it…said it’s the best popcorn I’ve made yet. Thanks for the wonderful idea! I’m with you, I like my caramel closer to burnt than not. Yum! You had me at Sriracha. And then, I almost died at popcorn. Insanity! 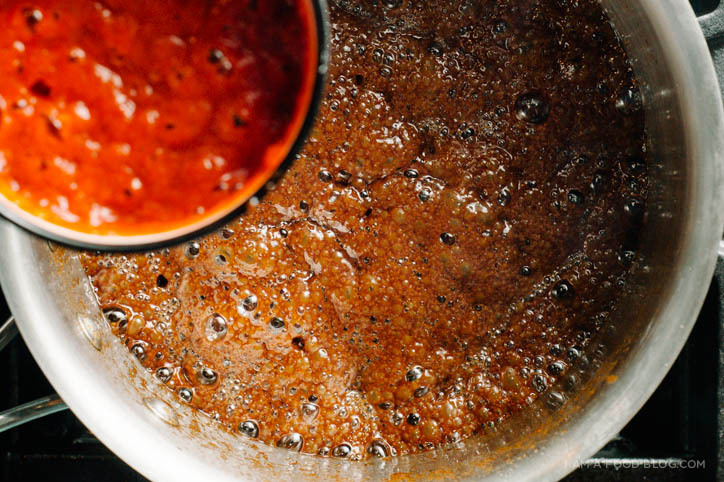 i never thought sriracha and caramel would go so well together, but it does! Made this last weekend and it’s a HUGE hit. Quadrupled the recipe and everyone lovvvvves it. For those wondering, it’s not very spicy at all. It has a bit of buzz with the sriracha flavor, but it’s mostly a sweet treat! If you want it to actually be spicy, increase the sriracha! That looks so good. 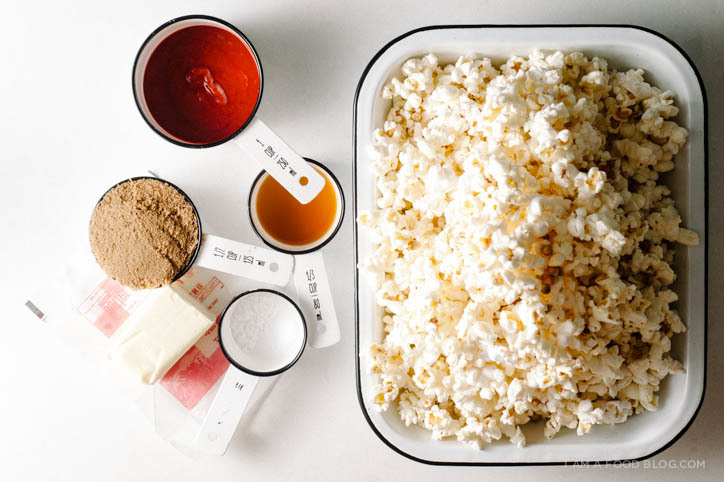 I love popcorn so I must try this recipe at home. Thanks for a beautiful and inspiring blog. 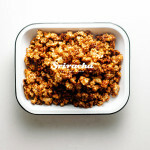 I have a caramel corn business and can’t wait to try this flavor and hopefully add to my available flavors! Made this the other night and it was delicious! The flavor profile is different, but provides a perfect balance of sweetness and spiciness. Toasted the popcorn in the oven gave the popcorn a very nice crunch. Thank you for the recipe!